Trust your commercial water heater repair and installation to Express plumbing and focus on the business at hand. Our experienced and trained technicians are available 24/7 to help you, give us a call. If you need hot water in your place of business, you can rest assured we’ll be there to take care of it without disrupting your daily dealings with your customers. We are experienced in repairing commercial water heaters and have been serving the Bay Area and San Mateo business owners since 1989. Many of the repairs are quick and simple, but if for any reason, the water heater must be replaced, don’t worry you’ll also have the best options available and make the best sense for your budget and business. When you call us for service, we will assess the problem at hand and give you the most efficient and cost effective method to take care of the situation. If your business water heater must be replaced, we give you options. 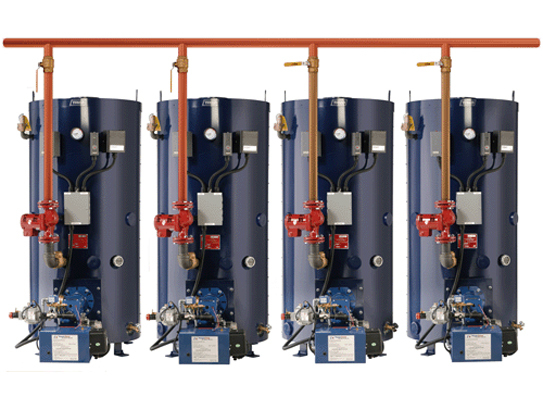 Whether you’re looking to replace your commercial water heater with a traditional one, or you’re looking into commercial tankless water heaters, we can help! Our experienced and certified technicians can give you an upfront cost and all the information you need to make an informed your decision for yourself and your business. “Express Plumbing is the best source for commercial plumbing services. I have since moved to Houston Texas, and wish there was a company I can deal with like them, I used their company for 20 years” Brian Greely, specializing in security cameras Houston. We are a family owned business, and understand what it’s like when your day to day business dealings are disrupted, this is one of the reasons we’ve made our commercial plumbing services in the San Mateo area available 24 hours a day, 7 days a week. If your commercial water heater is giving out on you, don’t waste any more time or money waiting. Give our experienced technicians a call.